Come stay with us! 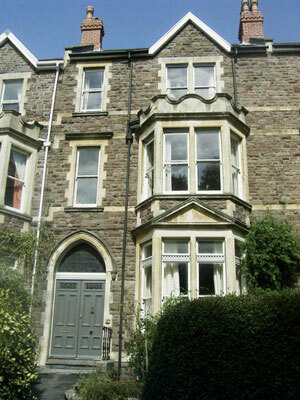 Clifton Towers Bed and Breakfast (B&B) situated in the heart of Clifton Village. In your spacious room you can experience the real joys and relaxation that Clifton Village has to offer. We aim to make you feel perfectly at home. We provide you with a self-service full continental breakfast, so you're ready to make the most of what Clifton has to offer, whenever you want. We've included a few pictures of our lovely one bedroom B&B for you to get a feel for us. We offer free Wi-Fi for guest to access the internet during their stay. So get in touch, we look forward to having you stay with us very soon. Find us nestled in the heart of Clifton Village, the prettiest part of Bristol. Despite being only ten minutes from the city centre, Clifton has a rural feel to it, with cobbled pavements lining leafy streets. Regency architecture and small garden squares, a restful haven so close to the bustling centre of Bristol. An abundance of quaint local shops, including a fabulous butcher, baker and antiques parade, exist alongside a wide variety of restaurants, bars and coffee shops; Clifton does not disappoint with such a wealth of fabulous cuisine from all over the world. Be sure to visit the glorious Suspension Bridge, one of Brunel's finest monuments to his capability, which has an amazing view across the Avon Gorge and lights up spectacularly at night. Take a short walk across the bridge to Ashton Court which hosts festivals throughout the summer and provides a lovely landscape for exploring any time of year.